The Rectangle, Ellipse and Line tools let you draw shapes which you can easily reshape into a more complex drawing. 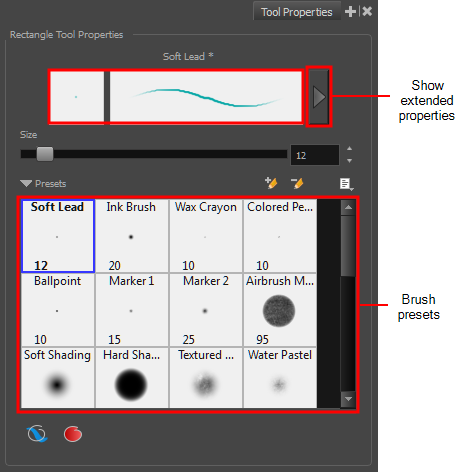 For tasks related to these tools, see Drawing with the Rectangle, Ellipse and Line Tools. In the Tools toolbar, click the Rectangle , Ellipse or Line button. Defines the size of the line. Automatically fills rectangles and ellipses with the current colour.